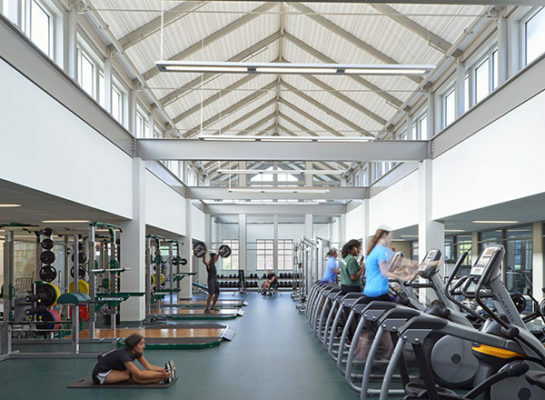 George School’s Hayden Family Fitness Center, located in the new Fitness and Athletics Center, now houses George School Performance and Wellness (GSPW), a program that emphasizes personal development through physical activity, athletic performance, and optimal health. The Hayden Family Fitness Center is always open, whether or not George School is closed for breaks or vacations. Weekdays: 7:00 a.m. to 9:00 p.m.
Sunday: 12:30 to 5:30 p.m. 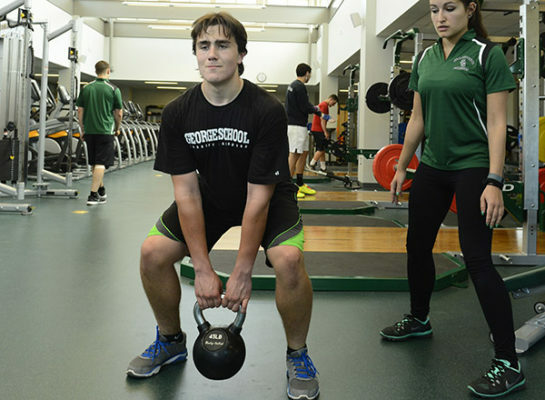 The George School Performance and Wellness Community Fitness Program offers community members the opportunity to participate in individual and group fitness instruction as well as training programs led by our performance and wellness coaches. 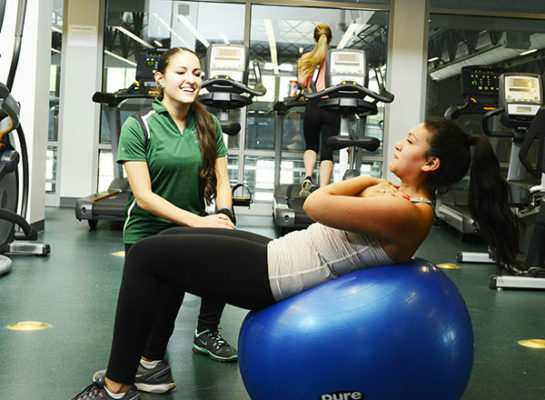 Participation in the program begins with a three-session orientation package that includes a fitness and wellness assessment, equipment orientation, and two personal training sessions. As part of the orientation package, clients have the opportunity to develop an individualized workout program with one of our performance and wellness coaches. Based on your goals and needs, the program will include strength, cardio, and flexibility exercises, and you and your coach will meet periodically to update the program and assess your progress. Following orientation, clients have the opportunity to continue working with performance and wellness coaches through individual personal training sessions, small group personal training, and supervised use of the fitness center. Biomechanical and risk-for-injury assessment. Your coach uses biomechanical assessment and research experience to evaluate your current body condition and functionality. Pre and Post Injury Corrective Exercise. With an assessment in hand, your coach will help you prevent an injury that might occur if you continue to train and/or compete as you have in the past. If you already have an injury, your coach can help correct imbalances in your system that may have resulted from these common ankle, knee, back, and shoulder injuries. Sport-specific strength, conditioning, and speed work. Your coach uses your individualized assessment to design a performance and strength training program tailored to your specific needs. Motivational enhancement coaching. Your coach combines traditional psychology, performance psychology, and spiritual wisdom to enhance your focus, faith, and power. Develop strength, stamina, and self-awareness with individual personal training. 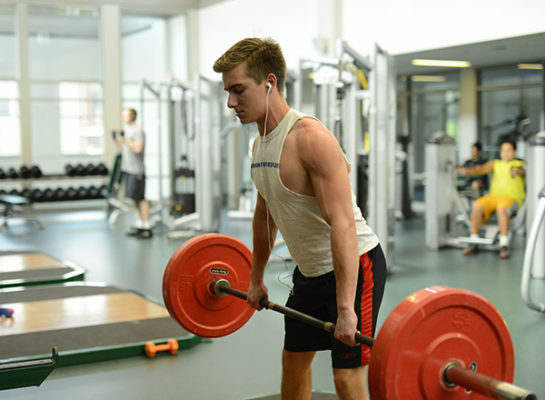 Using the results of your performance and wellness assessment, George School Performance and Wellness coaches will take you through an individualized workout using free weights, machines, and body weight exercises. Your performance and wellness coach will address your goals and needs and provide real time feedback to ensure progress. This hour long, full body, circuit style workout will help you get in shape fast with the support and encouragement of friends. Bring two friends or join a group already in progress for a fun, challenging workout. 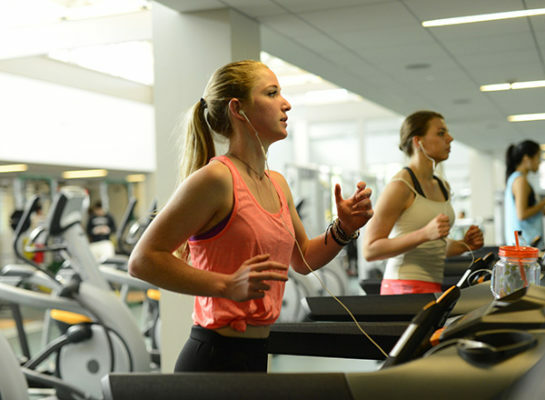 George School Performance and Wellness personal training clients have the option of scheduling additional independent workouts in the fitness center. GSPW coaches will be available during these sessions to answer questions. Ian earned a BS in Exercise Physiology from DeSales University. 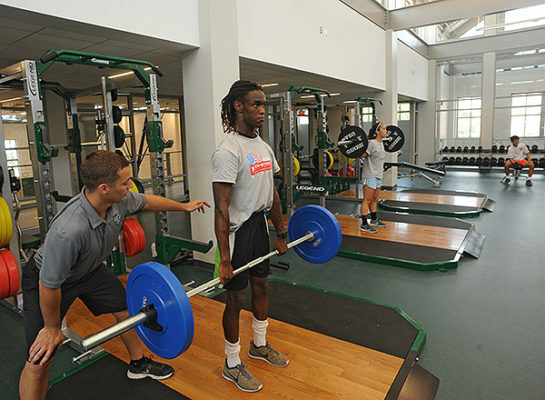 A certified strength and conditioning specialist, Ian also has extensive experience coaching soccer. For more information call 215.579.6698 or email George School Performance & Wellness Fitness Director Ian McArdle at imcardle@georgeschool.org.